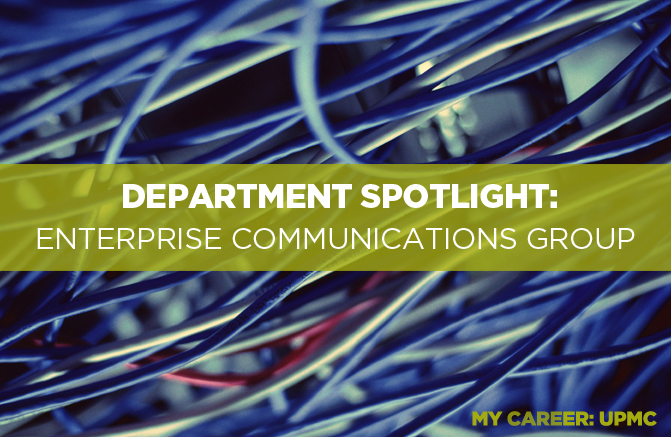 The Enterprise Communications Group oversees all network connectivity at UPMC. This includes wireless, LAN, WAN, firewalls, and design, which support all UPMC’s hospitals and business partners. This group makes up a consider amount of people who are in ISD. The Network Operation Center, or NOC for short, is the team I belong to and is responsible for monitoring network connectivity between UPMC datacenters and all remote locations. This team is staffed 24/7 because in this day and age, network connectivity is crucial. Many medical devices and all medical records are now digital, so as you may realize having uptime is crucial for patients to be able to be treated and taken care of. Our team receives a variety of different tickets on a daily basis. It ranges from circuit outages at remote sites, to users in one of UPMC’s Pittsburgh hospital locations that are having issues. The NOC is an interesting place to work because working in there you will see everything that happens on the network. For example you will have chances to work tickets for different network departments, such as wireless, or security. This I believe is very helpful in finding where you may want to specialize in later in your career. Through this position, I was able to complete tasks from working support tickets to a project of upgrading the software on remote routers. During this position, I had many opportunities to do different tasks, and even in different departments. For example, I was able to spend a day on the wireless team that supports all of UPMC’s Wi-Fi connections. This was a very good experience seeing a different perspective on networking besides what my group does. One thing I encourage everyone to do no matter what your department is to visit the location that you support and observe people doing work using the equipment. This is one of the most important things to me, because most days you will sit behind a computer screen working on the equipment not ever realizing how important what you do actually is. This allows you to see what your efforts have done to help doctors, nurses, and even patients. Personally this gives me the internal motivation to do my best every single day I come into work. I know that I feel like I have made the correct decision to pick UPMC as a place to spend my time this summer.